High school dropout Peter Bishop is gifted with an surprisingly high IQ. Teaming up with an FBI agent, Peter becomes drawn into investigating the spread of unexplained phenomena. Peter’s estranged relationship with his scientist father complicates matters. Such is the premise of Fringe, Lost creator J.J. Abrams’ next highly anticipated genre TV drama. On the surface, the concept seems to have a more than passing resemblance to Chris Carter’s landmark X-Files. Canadian actor Joshua Jackson, who once starred in the television series Dawson’s Creek http://en.wikipedia.org/wiki/Dawson%27s_Creek, returns to the small screen as Peter. Anna Torv plays his FBI agent compatriot. Filming on the Warner Bros. TV-produced series is under way in Toronto. The pilot’s cast also includes John Noble, Blair Brown, Lance Reddick, Jasika Nicole and the brilliant talent Kirk Acevedo, a stand-out alumnus of HBO’s stand-out prison drama Oz . 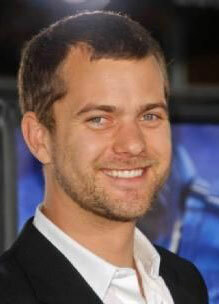 Jackson, 29, played Pacey on Dawson’s Creek between 1998 and 2003. He has since appeared in several small films including Cursed, Bobby and Battle in Seattle.